Int. 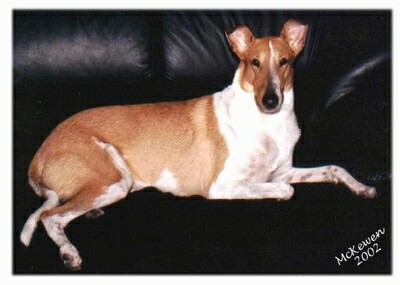 CH Onesti Command 'N' Conquer CGC, TT, BPD, VC, CERF aka Malcolm at 18 months old—he's a smooth Collie. 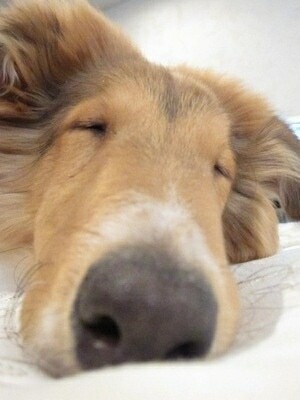 "This is Strider, a 7-month-old rough Collie. 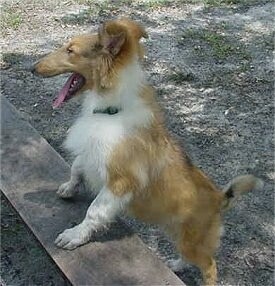 He's the kind of dog you dream of having as a little kid. 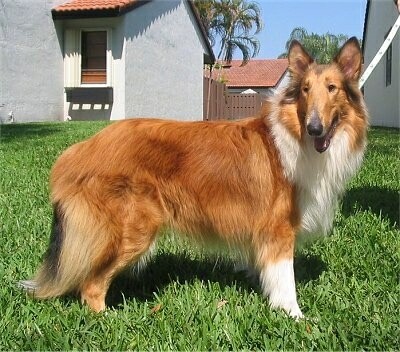 He's loyal, sweet, calm, intelligent and very handsome. He has such a loveable personality! 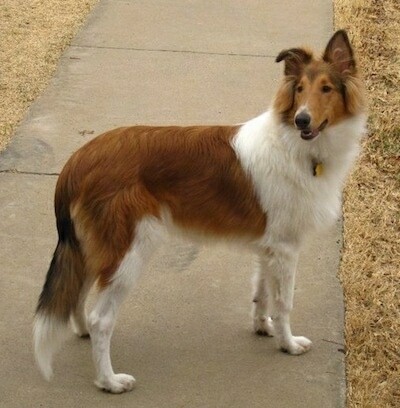 He's very gentle and friendly, but if someone threatens the safety of me or the rest of his "pack" he becomes just as heroic as Lassie herself! He's naturally great with kids, even though he wasn't exposed to them much when he was younger. He loves other dogs and even loves cats, although they don't care for him too much. "He and my roommate's Welsh Corgi Nugget spend a few hours a day in the backyard playing and "patrolling" the fence line. Surprisingly, Strider didn't make a single noise when I first got him. 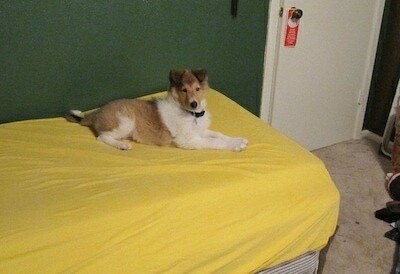 However, Nugget taught him barking was fun pretty quickly. Now he doesn't hesitate to alert me of a threat, even if it's just a chair getting knocked over. 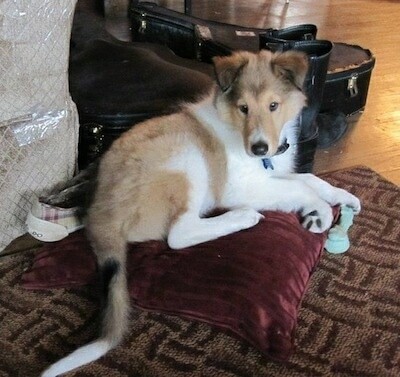 Thankfully, as soon as I thank him for the warning, he goes back to napping on his favorite pillow. He gets to play basically all day, and gets walks often. He's a couch potato, but loves walking and running if it's what I want to do. I love taking him out in public because he's so well balanced and people love him. I've actually cured a few people of their fear of dogs by introducing them to him." 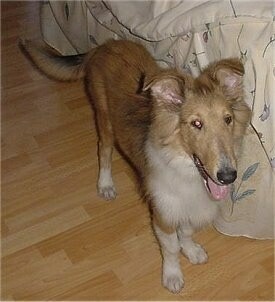 Strider the rough Collie at 7 months old—"People are very surprised when I tell them his age. He acts like a 3- or 4-year-old dog who has already mellowed and outgrown puppy stages. I'm thinking about getting him into service work, because he's so quiet and gentle. He would do great in a hospital environment or in nursing homes. He truly is an example of man’s best friend. 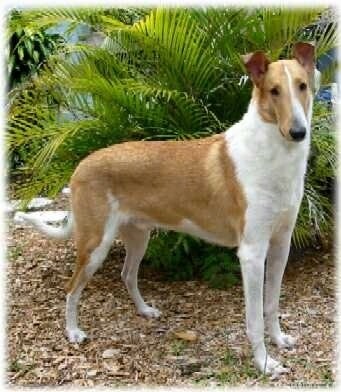 "His herding and protective instincts became very apparent when I purchased a couple of ring-neck doves. When Fox (the male dove) decided to explore the living room, Strider very patiently and gently guided him back to the perch. He also protected them from a cat in the backyard as I cleaned their cage (they weren't actually in danger, but he perceived the threat and made sure the cat knew it couldn't get close). If they make too much noise or flap around a lot, he'll run to their cage and check on them with a very concerned look on his face until I tell him they are OK."
"Toby died on May 7th after a long bout of pneumonia. He was only 12. 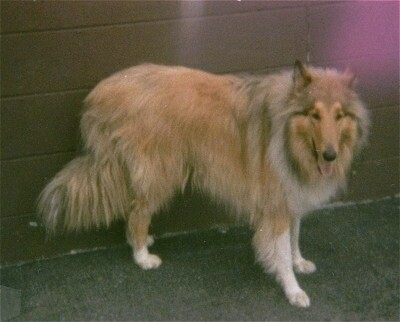 He was the best dog I ever had...and he passed away while I was in college my 1st year as a freshman. 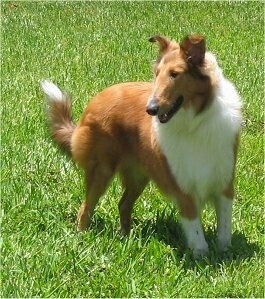 He was so energetic and he even use to chase me and my friends around as if he were herding sheep!"